We wish you the best of holidays and a brilliant 2015! Devo is now 6 and a half, and still my baby. He brings joy to our lives every single day, and we miss him every time (thankfully not a. very frequent occurrence) that we are apart! 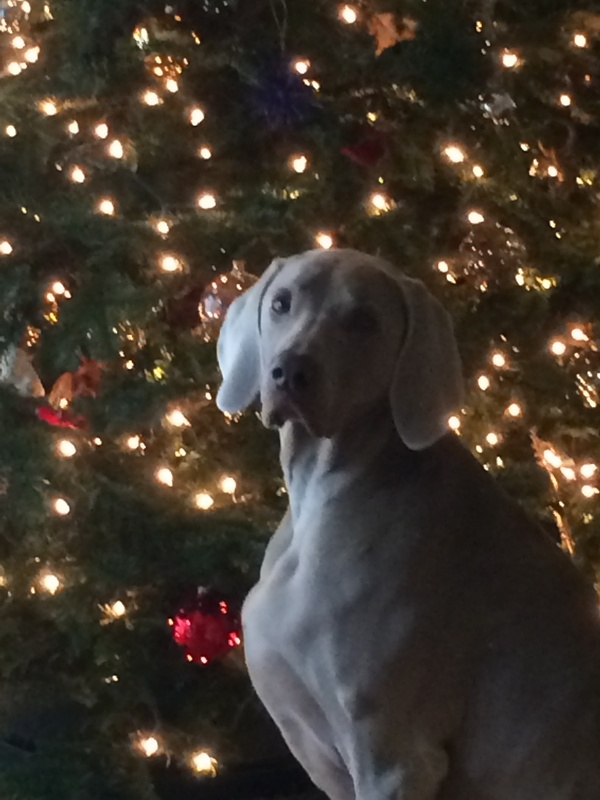 Posted on December 23, 2014, in Mollie X Dusty, Previous Pup Update and tagged Idaho OwyheeStar Weimaraners, Idaho Weimaraner. Bookmark the permalink. 4 Comments. Wow, Devo is a macho looking dude!! Devo you are a wonderful Weim, no wonder that your family loves you so much. have a wonderful Christmas all and a super 2015.